A day of rest, relaxation, and politics, followed by music and travel. 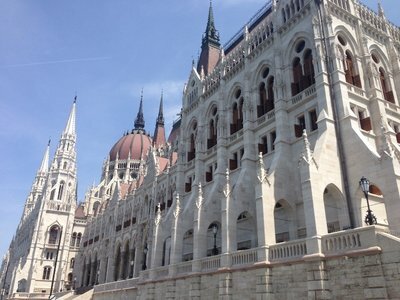 Our day began with a metro ride to the Parlament. The building is huge with every inch full of detail. There are guards at all the entrences. 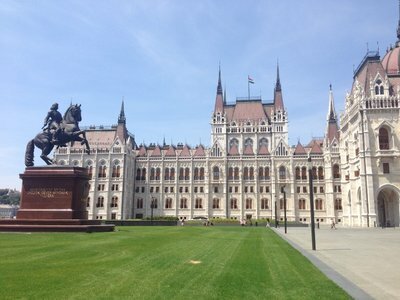 We walked around the entire building before heading to the Shoes on the Danube. 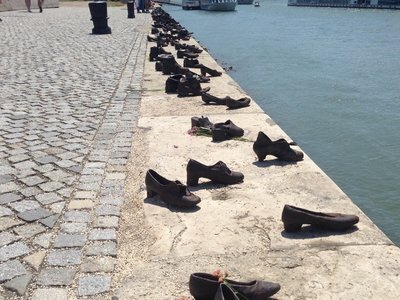 After visiting Aushwitz, it gave us a more moving experience seeing the brass shoes ~ Jews were shot along the banks of the Danube and their bodies were pushed into the river with some of the shoes being left behind. 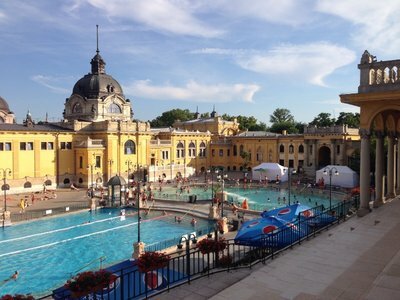 After getting in our steps, we moved on to the warm mineral baths at Szechenyi. We indulgd in some wonderful soaks in some beautiful spas, pools, and saunas. We began in an outdoor pool with water temp in the high 80s. Just drifting around the pool letting our bodies relax. This was followed by an hour-long couples massage. The hungarians kneaded and beat us like bread dough. Then we moved on to some mineral spas and of course a dip in the ice cold waters to make sure we got the entire experience. This was a much needed day of rest. 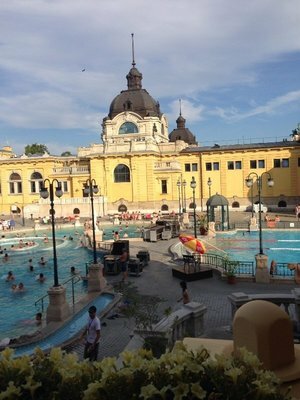 After 5 hours of bathing, we headed to see the City Park and Hero's Square. People of all ages playing table tennis,, chess, and numerous other games and sports filled the area. It was a great way to finish the evening. We ended our day with dinner on Vaci Utica, a walk around town with plenty of shopping, and then a fish foot massage. We recommend this to everyone. Your feet will be softer than you could ever imagine. Waking early on Sunday we were off to the Budapest Opera before heading to the train station for a 15 hour journey to Split, Croatia via Zagreb. It should have been a shorter trip, but the train tracks were under repair and we had to be shuttled to a bus for a portion of the journey. What was supposed to be a two hour window became a twenty minute rush to make our next train. We made it and on the first train made friends with several other travellers who were packed in with us. We learned all about Iran and the fellings toward the US and their nuculear capabilities from a kind Iranian who wanted to chat. 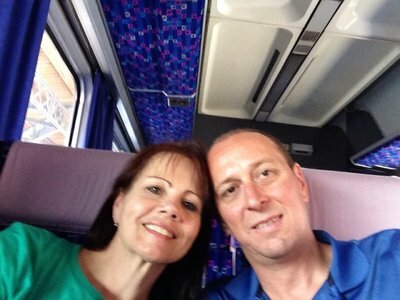 Finally we were on our night train and tucked in bed late Sunday night and headed to Split. 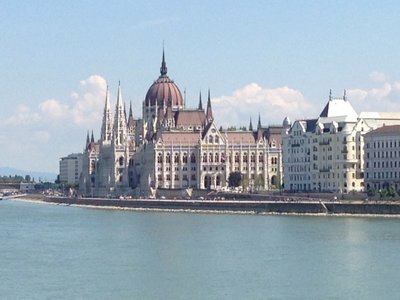 Budapest begins on a river and life is good. Arrival in Budapest after a night train trip from Krakow was welcomed. 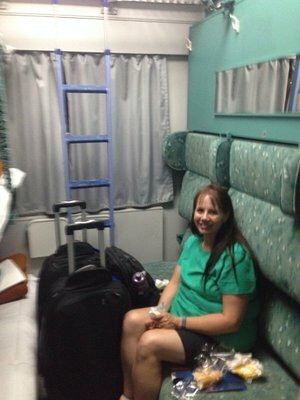 The train provided us great accomodations while including travel and breakfast. We were ready for the change and upon arrival found lockers to store our luggage as we could not arrive at our BnB before 2:30 p.m. and arrival was at 8:30 a.m. Friday. After changing a little US currency to Florints, we found the lockers after being accosted several times by the station lurkers wanting us to buy currency from them at a better rate. From here it was time to head into the city proper and do some exploring. 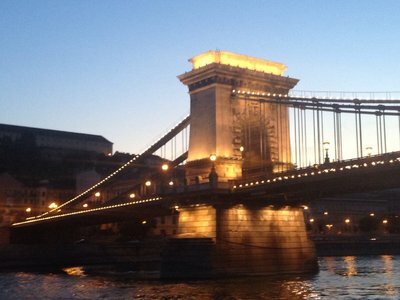 Once again we purchased the 24 hour pass for all forms of transport throughout Budapest and set out towards Buda and the Royal Castle. As we got close to the Chain Bridge, we were amazed with all the detail and the beauty of the Danube. We could have spent hours at the beginning just taking in the views. 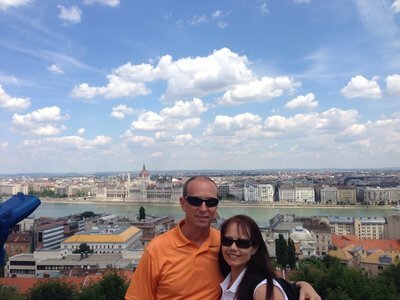 The walk across the bridge was lovely, providing sweeping views up and down the river that divides Buda and Pest. Once across, we rode the furnicular to the top. From here we were surrounded by the rebuilt castle that overlooks the city. The views up there were a must see. Wondering the grounds we were greeted by many statues, fountains, and gardens. 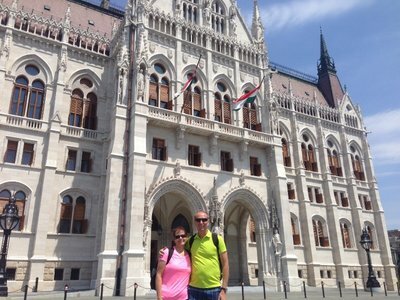 We wandered up the path to a lovely cafe where lunch was served to sweeping views of the castle, the Danube, and Matthias Church. After lunch we continued up the street to the church and Fisherman's Landing. After touring the sites, we headed back to town to find our flat. We arrived at the flat, where we were given keys and a quick tour of the place. Unfortuanately we discovered the WiFi was down, and the flat only had a washer, no dryer, but other than that it truly was a mini-flat as advertised. 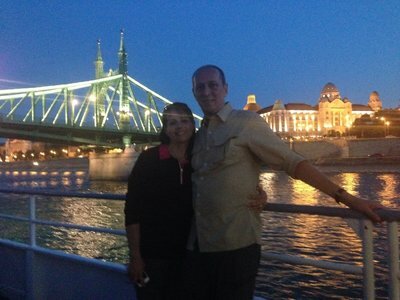 We took showers and headed back out for our evening dinner cruise on the Danube. 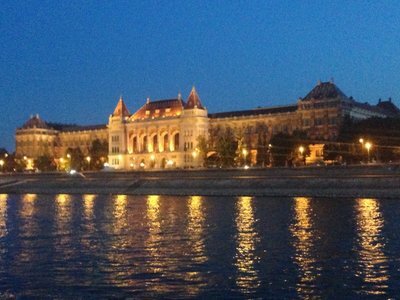 Next up was our evening of dinner and dancing on the Danube. The dinner cruise was well worth the money. We dined on traditional Hungarian cuisine with Goulash, cold fruit soup, assorted cheese, meats, breads, entrees, dumplings, and much more. The sights as we cruised the river became more and more impressive as the sun began to set. Lights illuminating the buildings along the river provided an impressive backdrop for dinner and dancing. As the night wound to a close we returned to our flat for much needed rest.